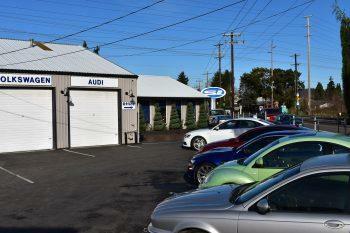 Steve’s Imports has extensive experience with Audi repair service and import auto repair in Portland, Oregon. Since the 1970’s we’ve serviced the Audi 80. 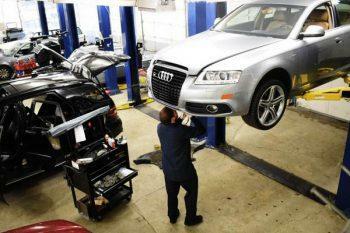 Then in the 1980’s and 1990’s, we repaired and maintained countless Audi 5000 vehicles. So on with the Audi A4, A5, A6, A8, and let’s not forget about the Q4 and Q7. 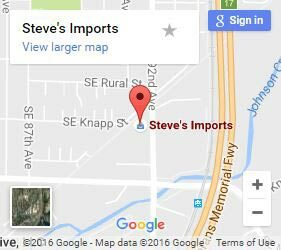 Steve’s Imports has serviced these fine cars through several generations of vehicles. We perform precision diagnostics and repairs while maintaining the highest quality service for our customers and their vehicles. Audis are precision vehicles and they require precision repairs. With more than 30 years repairing and maintaining Audis, we know how to provide fast and efficient for new Audis and classic vehicles. What are the most common Audi problems we repair? What do you look for in an Audi repair shop? Our technicians are certified and trained to work specifically on Audi vehicles. Every one of our service technicians is ASE certified. We keep our technicians trained and up to date with real-time information on diagnosis and repairs. Our experience servicing and repairing new and vintage Audi vehicles spans decades. Get more from an independent Audi specialist! So whether you need an intermittent check engine light diagnosed or an engine rebuilt, we are grateful to tackle the most difficult jobs on your Audi. We also keep our rates affordable and will compete with dealership prices on pretty much every scope of repair. Questions about your Audi? Call us now. Because our auto shop was built on customer relationships, we don’t treat you like a number. We’re happy to answer any questions you may have and really want to get to know you and your vehicle. The only bad question is the one you didn’t ask that you wanted an answer to. Our friendly technicians have all the answers, so don’t hesitate to call or contact us today!